I spent the first half of my medical career in a conventional mindset. Throughout my work in surgery, emergency medicine, & critical care, I realized that there was a very limited focus on prevention in the medical world. Prompted by a series of family illnesses, I became “obsessed” with the prevention of illness and disease. Everyday people are born with genetic mutations, which can increase the risk of illness and disease; however, mutations are rarely the ultimate cause of the disease. Many factors influence whether the mutation is expressed, and you have control over many of these factors. Lets take a look a very common genetically linked disease in the US: type-two diabetes. During my first pregnancy, I developed gestational diabetes. Upon further tests, I discovered that I was born with a gene that significantly increases my risk of developing type-two diabetes. I have been pre-diabetic all my life, and did not even realize it. However, now that I am fully aware of the risk, I can prevent myself from becoming diabetic by maintaining a stable blood sugar level, staying active, and rarely indulging in sweets. By taking simple preventative actions, I can remain diabetes-free for the rest of my life, despite my genetic predisposition. The United States government spends approximately $245 billion a year on the co-morbidities of diabetes (National Diabetes Statistics Report, 2014) while approximately 1.7 million people are diagnosed a year (CDC, 2012). Type-two diabetes is one of the most preventable diseases on the planet. Yet, it is predicted that 1 in 3 people in the United States will have diabetes by 2050. These staggering numbers are a result of the non-existent focus on prevention. Even though type-two diabetes can be prevented with a few lifestyle changes, many medical practitioners chose prescribing insulin instead of prescribing a healthy lifestyle. Type-two diabetes can be prevented despite genetic predisposition – Can cancer prevention work in the same way? Further research is necessary to learn the relationship between certain genes and cancer. Recently, the BRCA gene, which has been proven to increases the risk to breast and ovarian cancer, has become the frontier for studying genetic links to cancer. However, the mechanisms behind the function and expression of the gene are not yet fully understood. The recommended conventional treatment is to undergo prophylactic mastectomies and oophorectomies – surgery to cut out the potential problem. But what if you could prevent the expression of the BRCA gene, and bypass all the pain and money spent on procedures? If type-two diabetes can be prevented, despite genetic predisposition, what effect will prevention have on cancer genes? Similarly to the BRCA gene, research suggests that the MTHFR gene mutation also increases breast cancer risk. (Dong 2014) However, the mechanisms of action are more clearly understood and continue to be further studied. The MethyleneTetraHydroFolateReductase,orknown as the MTHFR gene mutation, can be detected with a simple blood test. Simply put, the MTHFR gene mutation slows down methylation and the ability to create anti-oxidants and detoxify the body. Because toxins are a common environmental trigger to cancer, and the genetic mutation impairs this detoxification process, it is speculated that this particular gene mutation is the link to cancer risk – yet thousands of people are unaware they have the MTHFR gene. After learning of the MTHFR gene at a conference with Dr. Ben Lynch, I began testing for MTHFR A1298C and MTHFR C6777T in all my patients nine months ago. Alarmingly, 85% of people I have tested in my New York practice are either homozygous or heterozygous for one or both of the MTHFR genes mutations. These numbers are staggering. Empowered with this information, my patients are now able to identify a potential increased risk for cancer and heart disease, and institute simple changes to their lifestyle to help prevent the onset of disease. The right lifestyle and nutrient recommendations can assist a patient in ultimately “feeding their genes” in order to increase methylation and minimizing the negative effects of the MTHFR mutation. The above diagram is a great visual of the complex biochemical pathways that are affected by the MTHFR gene. The diagram effectively illustrates the significance of methyl B12 and folate, and identifies how the MTHFR gene is central to many biochemical processes. It is clear toxins increase the risk of cancer. A study by Darbre (2004) discovered Parabens, chemicals found in most skin care products and deodorants, in 99% of breast tumors removed in women being treated for primary breast cancer. Parabens are just one of the many chemicals that have an established link with breast cancer incidence (Darbre, 2008). BPA is another toxin linked to breast cancer (Li, 2014). My passion is cancer prevention. I strive to learn more about the genetic mutations linked to the development of cancer. Personally, I have not treated a single patient with breast cancer who tested negative for the MTHFR mutation. If the gene is discovered pre-cancer development, simple measures can be taken to prevent the progression towards disease, including detoxification protocols and the supplementation of methylfolate and methylcobalamine (Wei, 2014). In preventative medicine, the goal is to identify risk factors and implement a plan to reverse these risk factors and prevent disease. The connection between toxins and breast cancer is firmly established (Barr, 2012, Darbre 2008, Li, 2014). Screening for impaired detoxification pathways and implementing nutritional changes to optimize methylation and detoxification can stop cancer before it even starts. Health is our greatest asset. We simply MUST demand PREVENTION. Darbre, P., & Harvey, P. (2008). Paraben esters review of recent studies of endocrine toxicity, absorption, esterase, and discussion of possible health risks. J Appl Toxicol, 28, 561–578. Stankova J, Lawrance AK, Rozen R (2008). “Methylenetetrahydrofolate reductase (MTHFR): a novel target for cancer therapy”. Curr Pharm Des 14 (11): 1143–50. doi:10.2174/138161208784246171. PMID 18473861. Lynch, Benjamin. MTHFR C677T Mutation: Basic Protocol. MTHFR.net. Feb. 24, 2012. Nice! It is always awesome to hear someone in the medical profession come to this realization. As a mother with a daughter I almost lost to several illnesses, several years ago, I did not have much information to help me. Through working with a few Naturopaths, we have detoxed her and over 2 years have brought her back from the horrible path of doctors telling her, “You can’t take medication so I really can’t help you” to the Naturopath’s saying “You need to fix this or you will not be around to have this conversation in two years”. It took much trial and error and searching for the right treatments and diet, a lot of money (insurance does not cover natural medicine), and a lot of traveling to other states in search of help. However, after 3 years she finally has energy to get up in the morning, and almost feels like a healthy person. Thanks to websites like this and people like Dr Ben, Amy Yasko, and Kristine Blanche among several others, the world has hope for a brighter future. God Bless you for all you do. I am homozygous for C677T and was diagnosed four years ago with an aggressive triple negative breast cancer. An oncologist and a surgeon both expressed surprise at seeing me both alive and thriving three and four years after this diagnosis. I recently discovered a little lump just under the skin next to my mastectomy scar, and the lump was the same triple negative cancer, only in the dermis, and was removed simply in an office procedure. My doctor and acupuncturist (who has made a special study of natural cancer healing and prevention with Donnie Yance) have both taken Dr Lynch’s seminar on MTHFR. I was put on Metformin to help prevent a return of cancer, along with Tetrathiomolybdate and medical cannabis. When I read that Metformin should not be taken by people with compromised methylation I stopped taking it. I still have part of the first bottle left and they want me to start taking it again. They intend to monitor my blood markers for methylation, but I’m still uncertain about taking Metformin again. I also was given small doses of Methotrexate four years ago before we discovered the gene mutation. Do you think Metformin will be a poor choice, given my genetics? I forget the name of the factor that they are trying to dampen, but it has to do with cancer stem cells. I know you cannot give specific advice, but I wonder about taking something that further compromises methylation. I’ve never had high homocystiene or difficulty with pregnancies. I’d like to see more explanation given as to why avoiding gluten and dairy is important for those with MTHFR. This site is a great resource, but it is the only place that I have ever found that mentions gluten/dairy in relation to MTHFR – and it fails to give any explanation. Avoiding gluten and dairy is extremely challenging (not to mention very expensive). MTHFR is one enzyme in the body that gets told to work when there are various issues going on – one of those is making cell membranes as MTHFR needs to work in order to make SAMe. SAMe helps make phosphatidylcholine which is used by every cell of your body. Given that over 60 billion cells die every day, there is a lot of demand. If gluten causes immune dysfunction and attack on self, then the cells get damaged and have to be repaired. Avoiding gluten and dairy reduces inflammation (immune system activation to no good purpose) for many of us. As Dr. Ben points out in his reply, unneeded inflammation is highly damaging. It puts enormous demands on the cellular healing mechanisms, which need the methylation cycle to work so that they can do their job. When the body spends so much of its resources working to fix so much ongoing damage, it doesn’t have anything left to help you recover and feel better. Since inflammation caused by dairy and gluten is avoidable by not eating those foods, when you stop eating them you back off the inflammation and reduce the load on your body. I have been off dairy and gluten for about a decade and this has really helped me. It doesn’t have to be expensive when you change your diet, if you don’t try to buy expensive stuff to replace those foods–for instance, I basically replaced dairy with green vegetables and legumes. But yes, it is inconvenient. For me it’s all been part of getting my life back, though, and not having a life was way beyond inconvenient. Bottom line: it works, as part of an overall approach to managing methylation issues, and for me going totally dairy-free produced a very noticeable improvement all by itself. Plus, specifically going off dairy (which I did the year after I stopped eating gluten) normalized my cholesterol levels–my LDL dropped by 50 points in two months and went into the normal range for my age. BTW, detoxing from dairy and gluten, after I went off them, was helped along by doing “oil pulling”–it really speeded up the process of healing. Oil pulling is an Ayurvedic technique. Any guidance you have would be most appreciated. Thank you for all your invaluable research. This article is amazing! I am currently following the Gerson Therapy (so similar to your prevention recommendations) protocol for breast cancer. All scans and tumor markers have been good for the past year. I began the therapy after a lumpectomy in Dec. 2013. The diagnosis was stage 1 grade 2 with no lymph node involvement. I am taking large doses (relative to the standard) of B12 (methyl form) via injection twice per week, 1 gram total and tolerate it well. 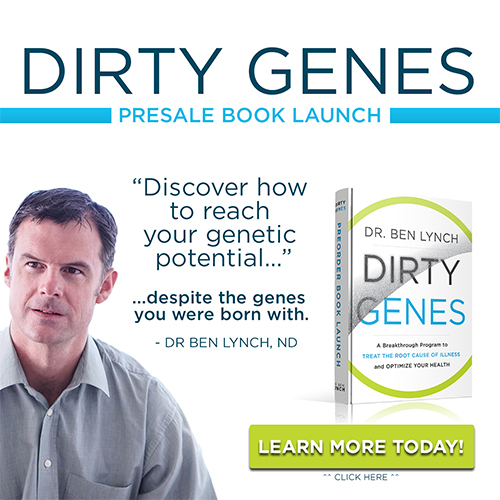 After discovering the world of methylation I believe it is very relevant to my cancer. My MCV and MCH have remained at high normal and above normal respectively since before I began the therapy. Is it possible the issue may be a folate deficiency? I certainly should not be B12 deficient at this point as I have taken injections for over a year now. So, I have added 1mg of the Thorne methylated folate and feel great so far taking it. I am wondering if you feel this is a sign my body is starved for folate despite my consumption of 4 8 oz organic green juices per day. Is it possible. I have not been tested specifically for MTHFR mutation however genetic expression tests of my tumor classified me as high risk for distant recurrence within 10 years. I assume because the link between methylation and cancer has been established, this gene is one of the 70 considered in the mammaprint genetic expression test performed on the tumor tissue. Any help you can provide would be brilliant! My ND and Gerson practitioner know little concerning this subject and seem relatively uninterested in researching with/for me. I am more than happy to consult with you if necessary. I so look forward to hearing from you! What is the connection with this gene and triple negative breast cancer. I have one of the genes for MTHFR. I also have Tnbc. I have learned glutathione acts as fuel for this cancer. I was taking otc metholfolate but recently learned it turns into glutathione in the liver which is where I have mets. I also was taking milk thistle which has learned does the same. Do you have any thoughts on this. I have two girls with the gene as well. My B12 and folic acid level are through the roof. I want to take this medication but am afraid of it fueling this cancer.